99 mins. Rated R for violence and terror. When an incredibly talented director decides to take on a remake, it is interesting. When he decides to take on a horror remake, it is even more so. When he decides to remake a 1970s made-for-television horror movie, it is about all I need to want more. 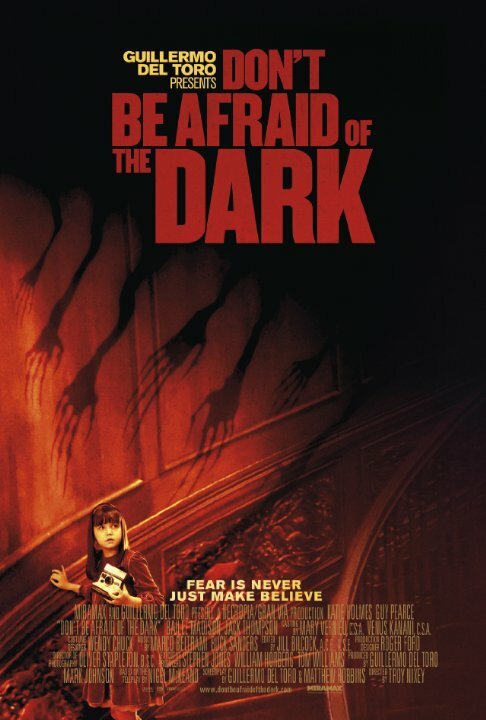 That’s what Guillermo del Toro set his mind to for Don’t Be Afraid of the Dark, which tells the story of Kim (Katie Holmes, Batman Begins, The Giver) and Alex (Guy Pearce, Memento, The Rover) a couple who makes their life on flipping homes. When they get their hands on the home of Emerson Blackwood (Garry McDonald, TV’s Offspring, Moulin Rouge! ), they cannot wait to spruce it up with their unique alterations. 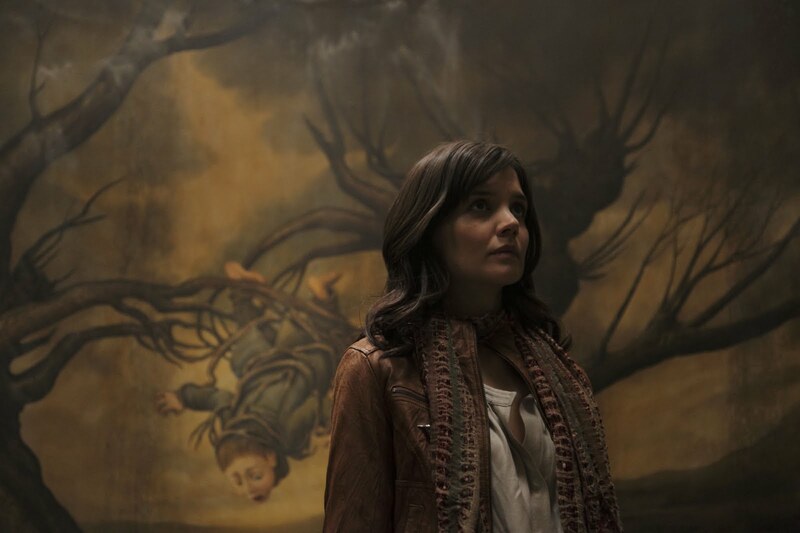 Alex’s daughter Sally (Bailee Madison, Just Go With It, Parental Guidance) harbors ill feelings against Kim for “replacing” her mother, and soon she discovers a basement inhabited by small creatures with ties to ancient and modern-day myth. Harris (Jack Thompson, Star Wars: Episode II-Attack of the Clones, Bonnie & Clyde) and Mrs. Underhill (Julia Blake, TV’s Bed of Roses, X-Men Origins: Wolverine), employees of Alex, do not want harm for the girl and know a lot more than they are letting on, but all that Alex is worried about is impressing Charles Jacoby (Alan Dale, TV’s Dominion, Captain America: The Winter Soldier), who has influence with a famous design and architecture magazine. When the creatures’ motives become clear, however, Sally knows that she must do whatever she can to stop them. This is all typical fare director and screenwriter Guillermo del Toro (Pan’s Labyrinth, Crimson Peak), so maybe that explains why he passed off directorial duties to newcomer Troy Nixey. Del Toro merely scripted the story with writer Matthew Robbins. Now, this movie isn’t all that bad. It just isn’t all that good, either. It falls under the realm of simply existing for a while and then dropping off into obscurity, much like the film it is based on. I do like the idea of del Toro choosing a relatively unknown film to remake. I think there is far more potential to a project, with less expectations of comparison. There isn’t anything wrong with the performances, except for Katie Holmes, who seems to have given up on even trying since making the biggest mistake of her career by passing on The Dark Knight. Troy Nixey can handle the piece with some result to it, but ultimately the film feels like it is dragging. 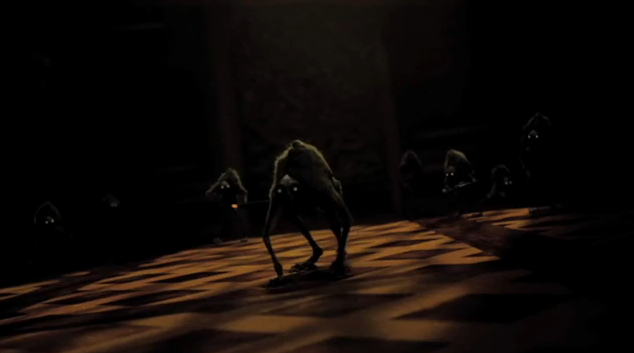 Part of that can be that the creatures resemble ones that Guillermo del Toro has dealt with before, and they feel boring. Even the effects are pretty good, but the creatures aren’t really anything new, and therein lies the fault. The whole film feels like we have seen it before, even for those of us who hadn’t heard of the obscure original film. Would the film have been any different under the grasp of del Toro? I’d like to think so. I’m at the point with his work enough to the point that I will head to the theater just because his name is on the credits for a particular film. His influence seems to suggest better work than this. I feel like this film is one you can see if you want, but you don’t have to. Nobody is forcing you, and if they are, then their motives would be somewhat questionable.